This is the week of the seats! 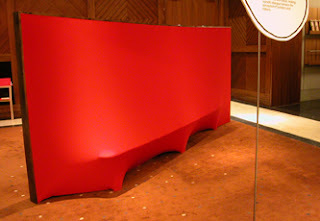 I've only made posts about seats!So I keep on posting about seats, I love Behind the wall,a piece of furniture that is both wall and sofa, by Jordi Canudas.I think that it must be very funny to interact with people behind the wall! Moreover, Behind the wall is a non-chalant beautiful sofa. Besides, have a look at Jordi Canudas' RCA final project here:it is very interesting!